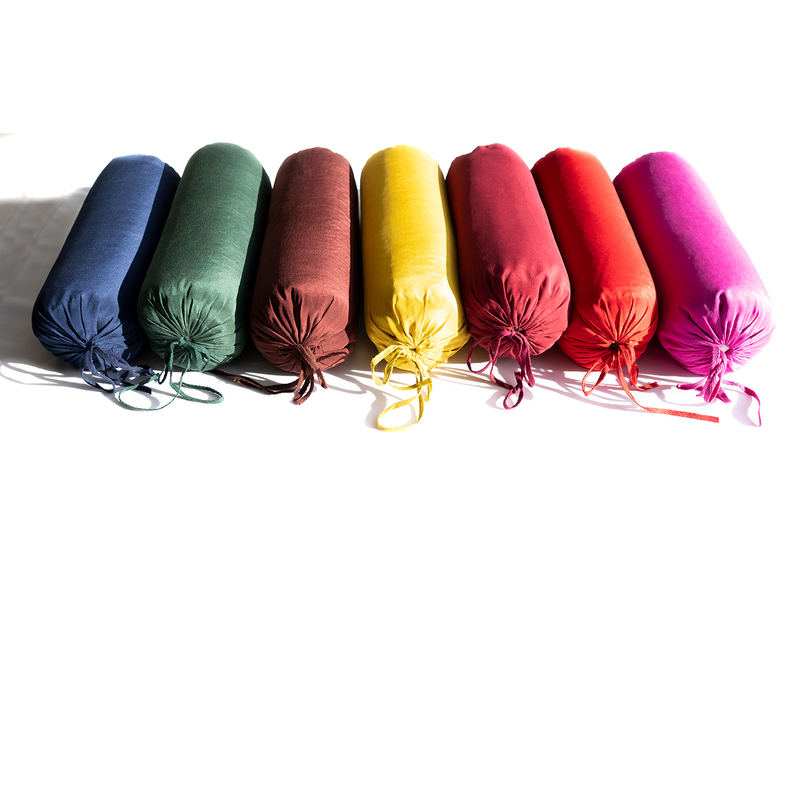 Relax in style with our luxurious silk neck pillows! 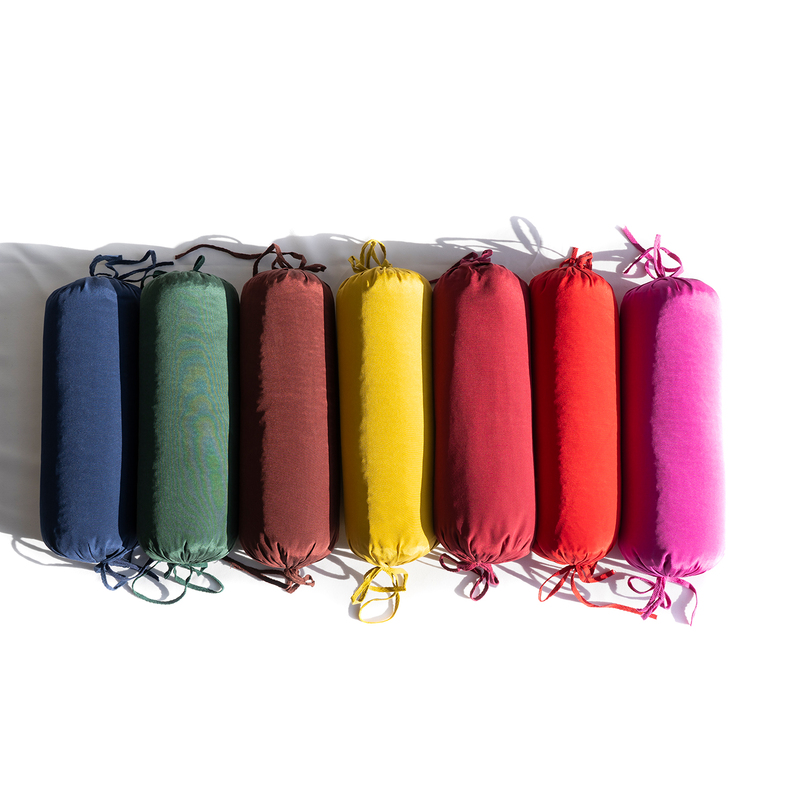 Each neck pillow has a 100% silk cover and is filled with unscented organic buckwheat hulls. Neck pillows can be used to support the neck in restorative postures, or to help support the spine or even knees and ankles. The buckwheat hulls can easily be removed to get the desired softness depending on intended use. 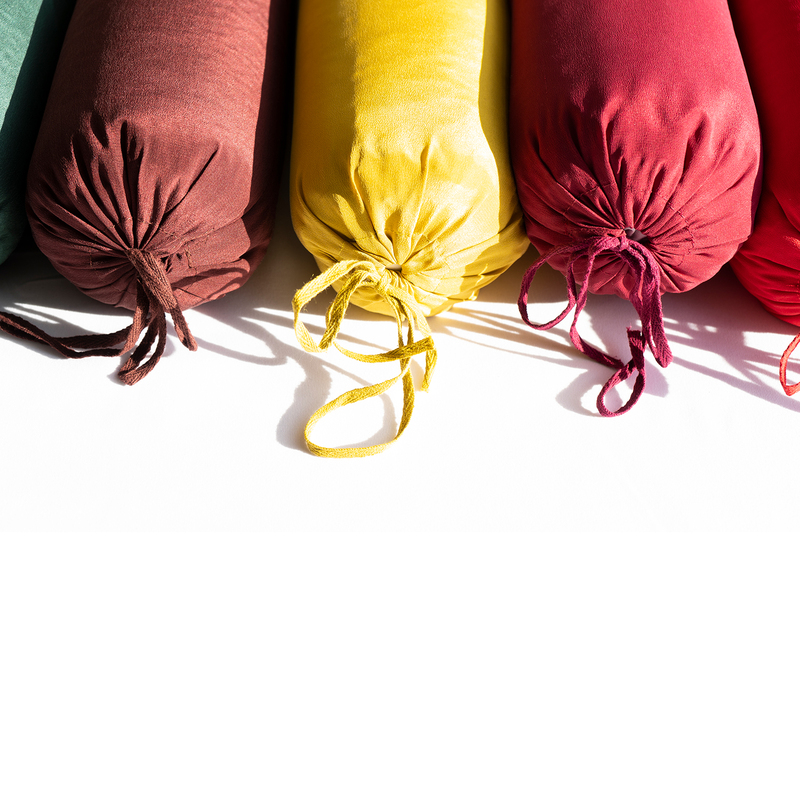 The cover is also removable for washing (we recommend air drying) and has simple tied cinch closures on both ends. 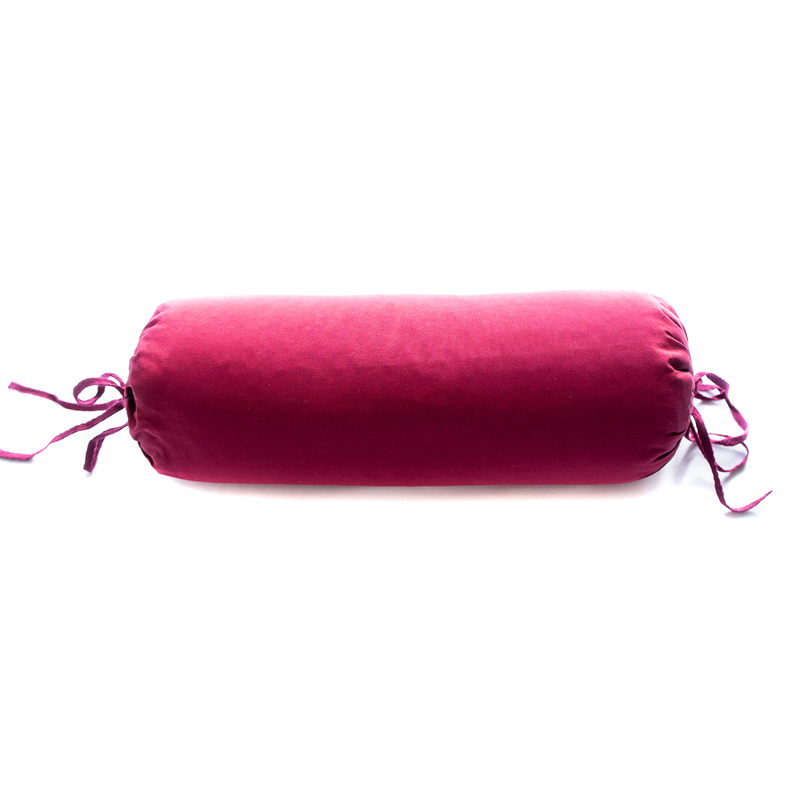 Each neck pillow is 4 1/2'' across by 12'' long. I ordered and received my pillow and enjoy it a lot. 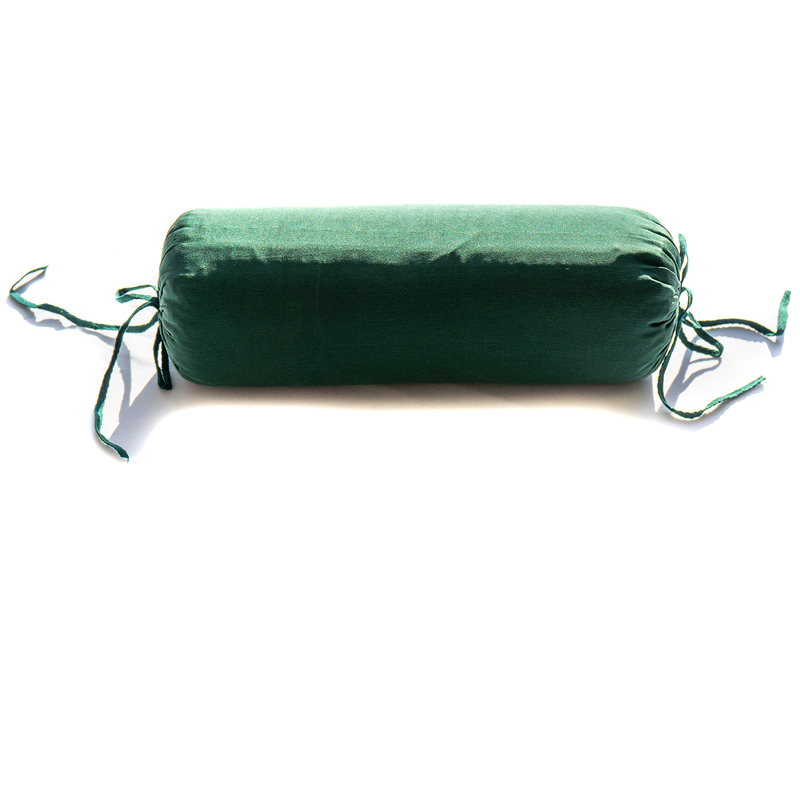 I use it when sitting for my low back, when supine under my knees, or for my head when supine. It is wonderful. This neck support is perfect for me. I can lie supine without my shoulder hurting. 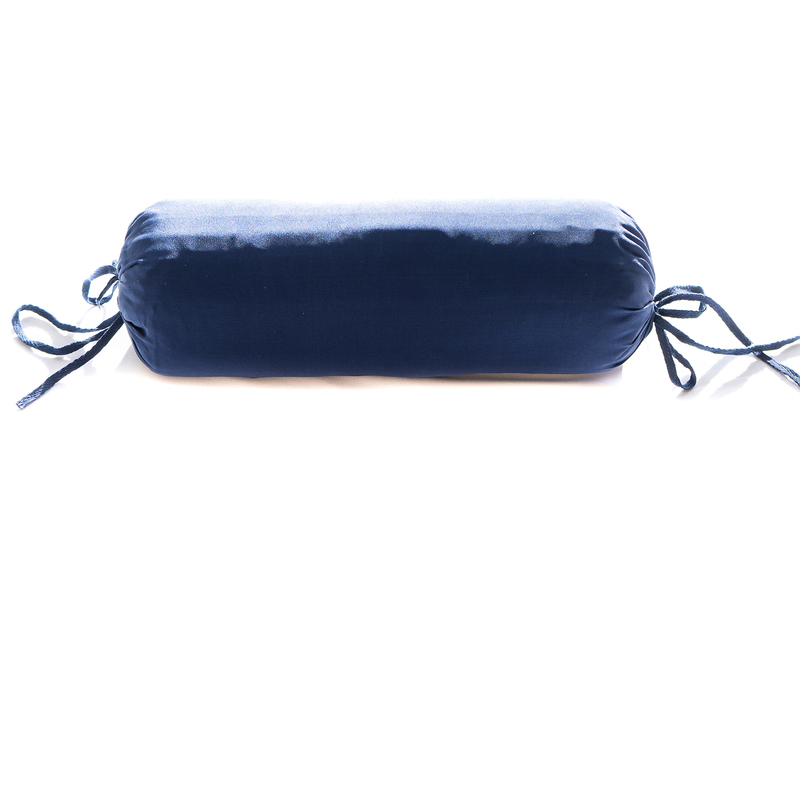 Ordered this pillow for use in my Pilates class. I had been suffering from vertigo and was having a problem laying flat on the ground. The pillow keeps my head elevated enough so that I can get through class without any issues! Great buy! 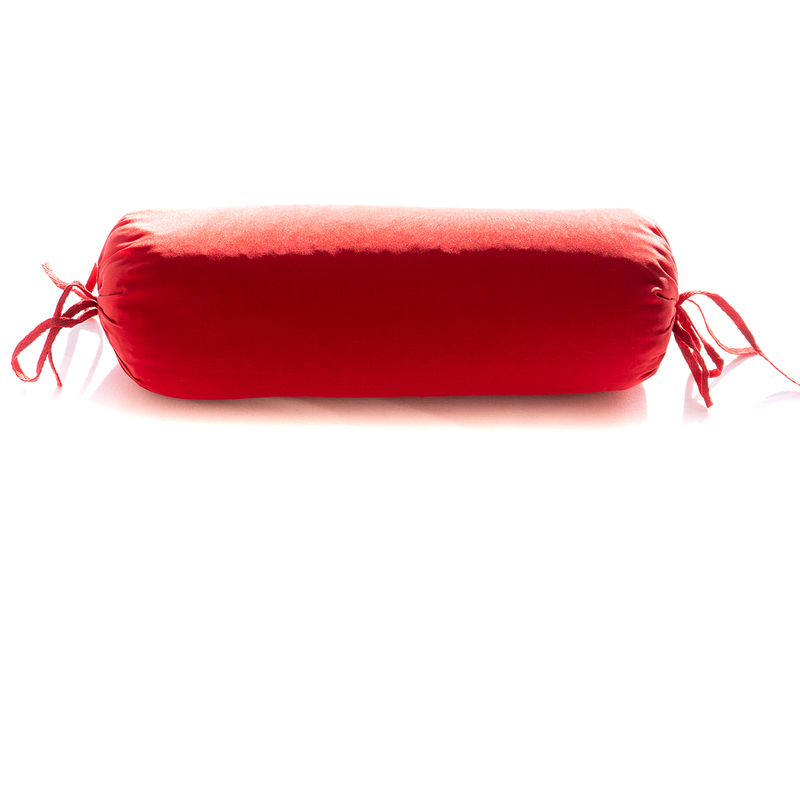 This is a great supportive prop, but it is a little large for under the neck when lying supine. 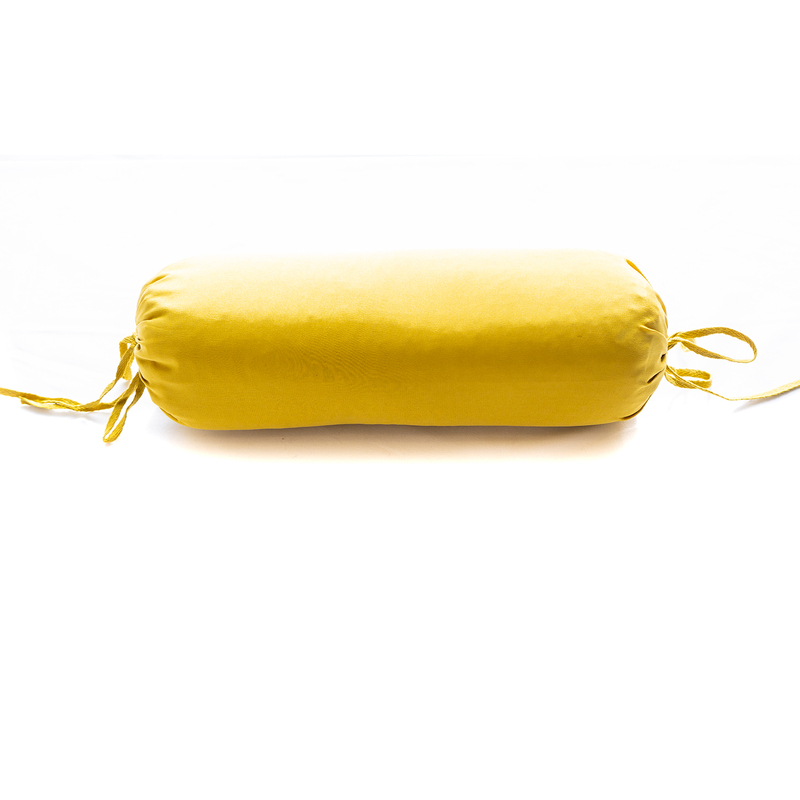 Great for propping up knees, ankles, or sacrum, and the buckwheat filling allows this prop to adapt to the cavity of your body. We just received these neck pillows.I loved them .I am ordering 1 for me and 1 for a gift.Super comfy! I was excited to receive the silk neck pillow, but found that the pillow is too big. I'm going to let out some of the buckhwheat hulls, and that will make the pillow perfect. 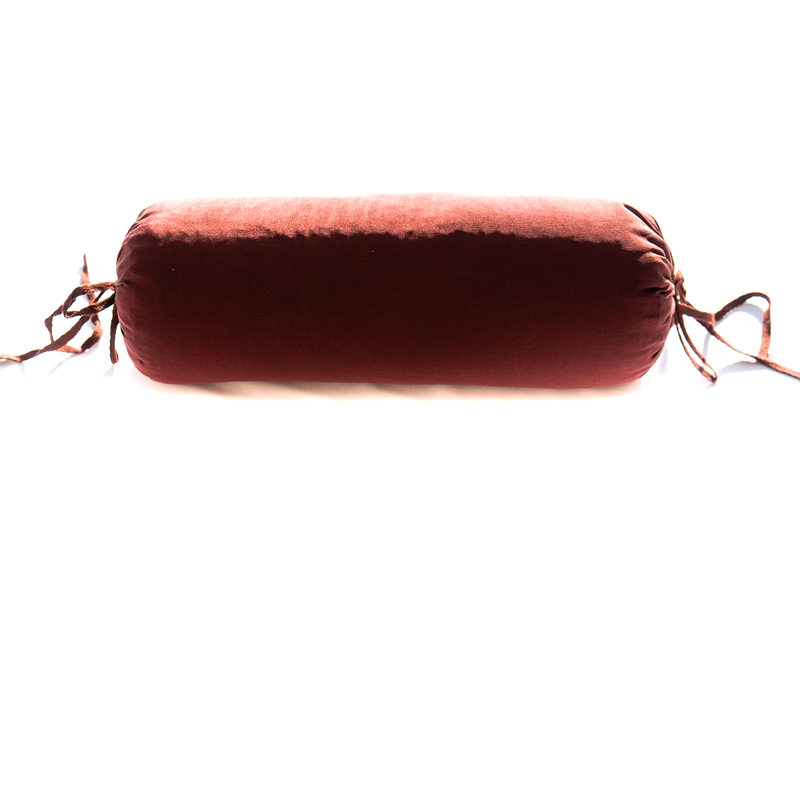 This pillow is well made and well worth the price (which is much lower than competitors). The buckwheat hulls are firm yet moldable, much better than any synthetic stuffing. Works great as a neck pillow. We also lay on it under the lower back and along the spine for a great stretch and back pain relief. Highly recommend this product! Have bought three of these great little neck support pillows.......one for my husband, one for my daughter and one for myself. We all love the support they provide our necks when sitting and watching t.v. Great product! The pillow works great under my neck when I am doing yoga at home also great in my chair behind my lower back.